So many New Year resolutions, so few kept. By the end of the first week, sadly, many are just not remembered. It's not because we suffer from temporary amnesia, but rather because time waits for no man. We are so busy, there's just no time in our hectic schedule to keep focused on what we want to change or what we want to do. 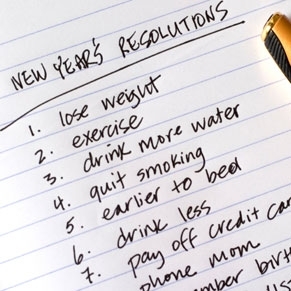 Needless to say, few people have the will power to see their resolutions through. I think, when it comes to bad habits and good intentions, we shouldn't wait for a year to end to make any efforts. Each day should be like a new page, a new challenge. When we really want to stop a bad habit, or start something good or worthwhile, we should simply do it. When we fail or stumble, we should learn to start over again as soon as possible. A good example is dieting. How many of us want to lose weight? (I'm a member of that club!) We start dieting and by the third or fourth day, we lose the will power to see it through. Then we indulge and the shameless guilt takes over. Soon we find a new diet to follow. We forget that eating healthy is a lifestyle. It shouldn't be a punishment. Thorough research into the perfect personal eating plan is necessary and with the gained information, it should be a pleasure to eat. Eventually, weight loss will come naturally, not because it's forced. I sometimes think we're just too busy trying to make a living. We forget to enjoy life. A lot of people live to eat, work or relax. Shouldn't it be the other way round? Shouldn't we eat, work or relax to live? Shouldn't there be happiness in doing that? 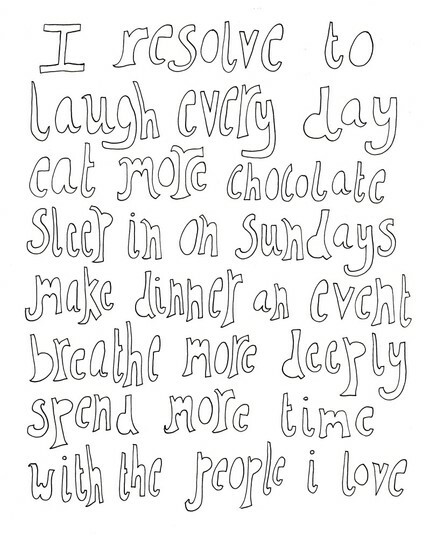 Shouldn't it be something we strive for every day? New Year resolutions are good, but every day resolutions are better. 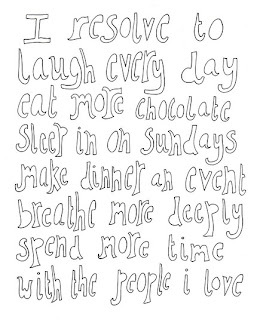 Let's make 2011 a daily pleasure. It's worth a try.